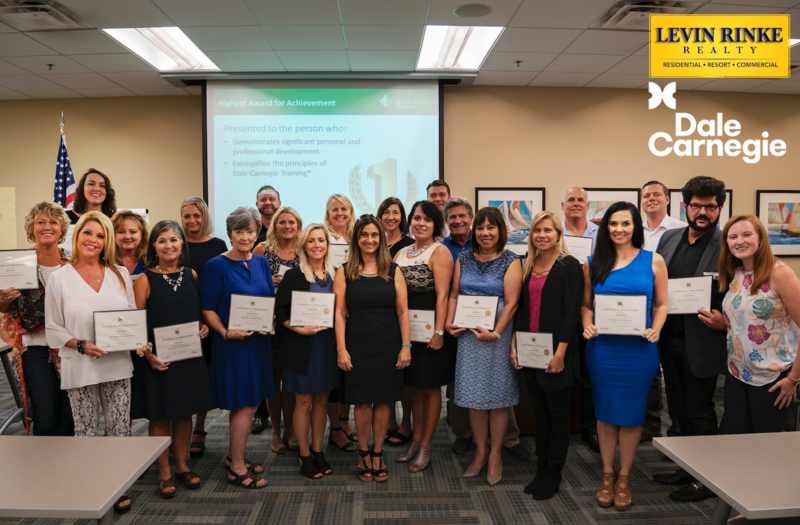 Congratulations to all of our hard-working Realtors who completed the Dale Carnegie program! It is inspiring to see these professionals so dedicated to refining their skills in order to better serve their clients. At Levin Rinke Realty, we collaborate with our realtors to identify relevant and pertinent training opportunities. They asked us to deliver an “out of the box” training opportunity to expand beyond their current capacities as real estate professionals. Broker/Owner Robert Rinke, a graduate of this course, believes that investing in interpersonal skills will help Realtors better understand their clients’ needs and deliver the gold standard of customer service. 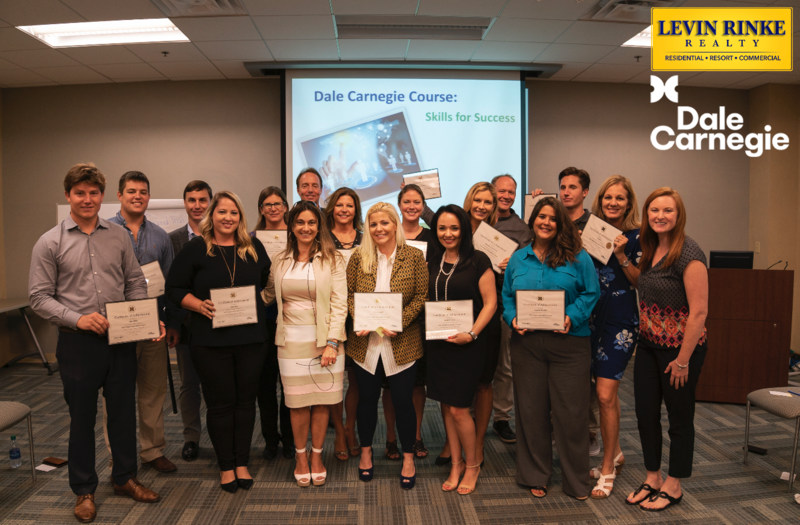 The Dale Carnegie program was the perfect solution to meet both agent and broker objectives. A mix of both challenging and inspirational as we grew together as a team, week after week, applying the 30 human relations principles into our daily lives and much more! Our expectation is that our Realtors be experts and we give them the tools to do it! To be an expert, you must be competent. Competence creates quiet confidence, which leads to credible, lasting relationships with your clients. To learn more about the culture and team at Levin Rinke Realty, click here.